Meet RHYTHM a flexible system for cycle tracking and dispensing hormonal treatment to support health and aid in illness. 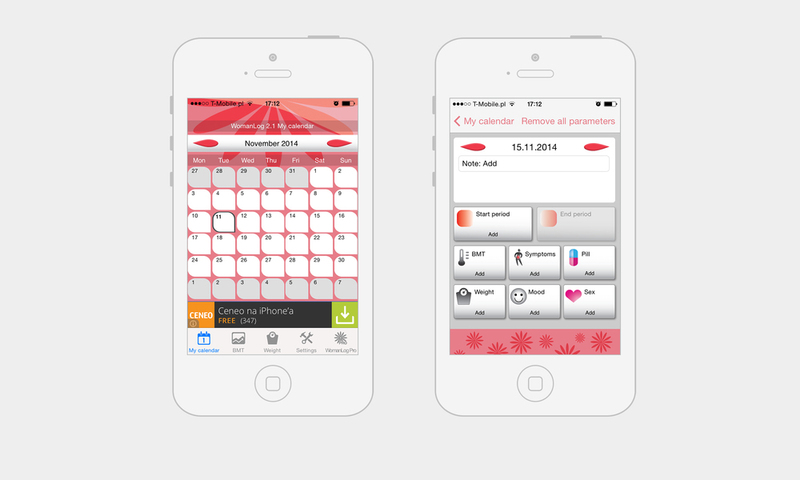 It is common that women stop using cycle tracking apps after a couple of months while tracking a cycle is a crucial tool in maintaining health and noticing first symptoms of imbalance and many serious conditions. 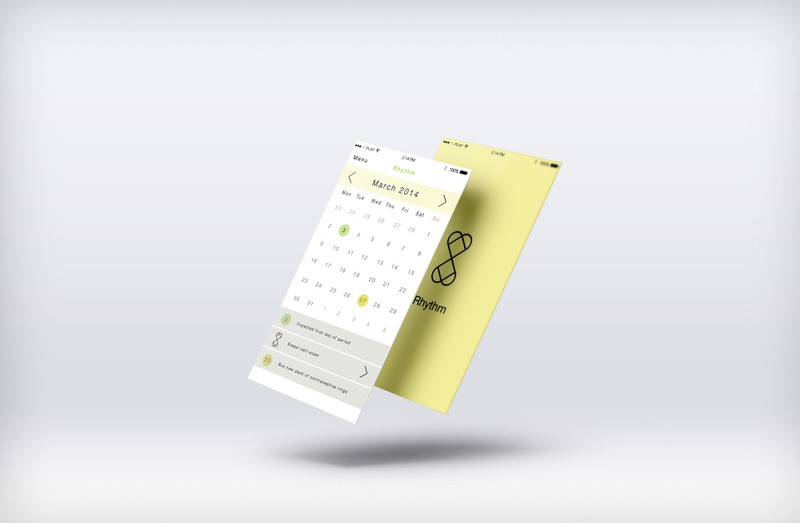 Apps available on the market are designed exclusively for healthy women with no room for an irregular cycle tracking or hormonal treatment remainders different than in case of contraceptive. One of the most popular apps with ~ 7.2M global downloads iPhone [data from January 2014]. 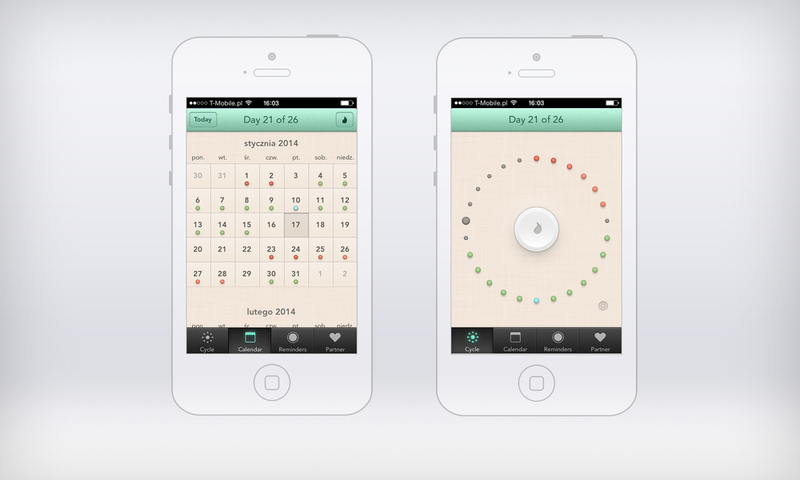 Very unclear and hard to use - focusing on fertility with a sibling-app for cycle tracking. One of the most popular apps with 5.4M global downloads iPhone [data from January 2014]. With graphic design that is hard to read. Interesting concept based on research and idea of education. App itself is hard to read (cycle circle), but the whole project is focused on accurate measurements. 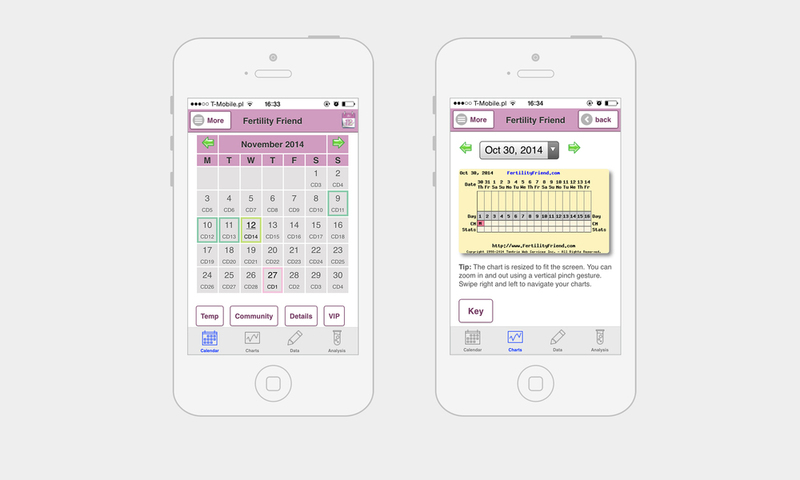 Easy to use app for tracking cycle with two extra features: remainders and optional sharing with partner. Easy to use. Seems like the graphic design is aiming at a younger audience that the app features (mainly cycle tracking in context of sexual activity). 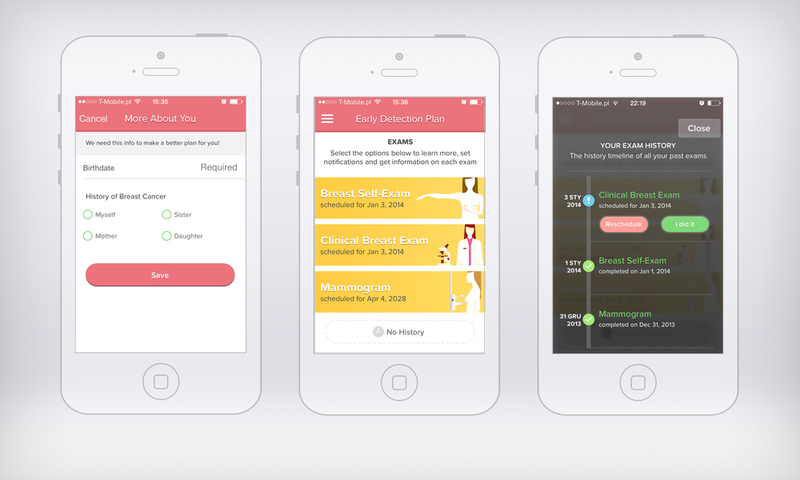 Mobile App being a part of breast cancer prevention program. Easy to use and well-thought through - with smart personalization [based on cancer history in the family, age etc. ], examinations remainders and informative instructions. Tracking cycle, examinations and treatment. Smart remainders about contraception, medication and examinations. Customizing app with my doctor. Possibility to share information with a partner. From a partner and doctor. Especially in case of infertility treatment, endometriosis, PMS or Polycystic Ovarian Syndrome. In the future I can check my records on medication and contraception methods. I can take my pill discretely. This process includes some medical questions in order to personalize app and provide relevant reminders. Further personalization happenes during the regural use of the app. 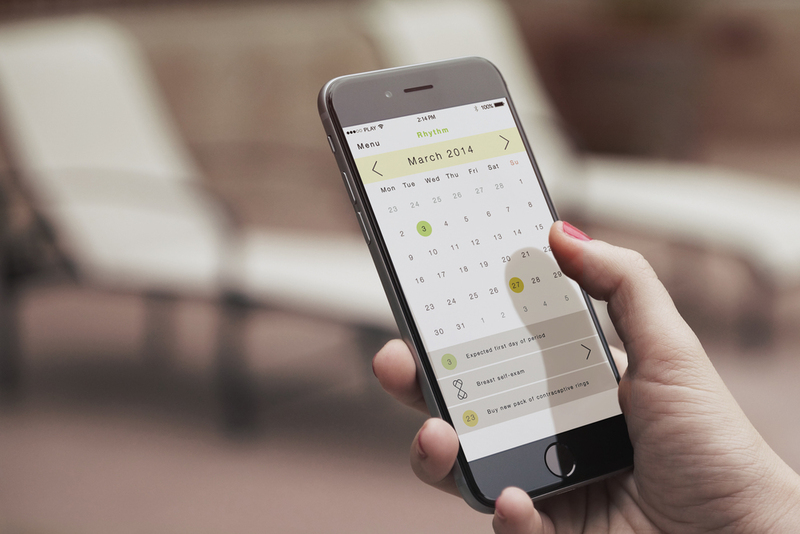 Easy way to add daily information to the calendar with just one tap. App encourages to keep more detailed record - providing relevant presets makes this process faster. Personalized cycle and health tracker providing support regardless of users conditions. In a discreet form of a pen with red light signalizing when the pill was not taken. Displaying information your partner want to share - great way to stay up to date and show support. Cycle parameters and patient's health tracking information easy to reach and interpret. Icons by Stefan Parnarov, Didzis Gruznovs, Jon Testa, Artworkbean, Lastspark, Darren Wilson, Arthur Shlain, Dmitry Orlov, Rodolfo Alvarez, Yuri Mazursky, Creative Stall and Sergey Demushkin.